The single most effective bed bug treatment strategy is killing bed bugs with heat. Heat treatment is environmentally safe, chemical free, and kills bed bugs in places you can’t see them. Bed bugs are resilient, but they have one big weakness: They die in temperatures above 120 degrees Fahrenheit. Exposing them to temperatures that exceed 120 degrees for a few hours kills them quickly. Heat treatment is the most effective way of killing bed bugs, but it’s not something the average homeowner can do or afford to do in call cases. Heat treatment can be done by the “do it yourselfer”, is done most effectively by a well trained professional exterminators with heavy duty heat treating equipment. 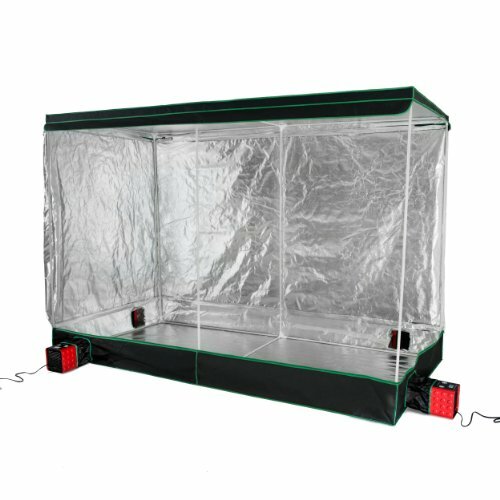 But for many, this can be cost prohibitive, and can also be done by yourself using some available products, including enclosures and heaters designed for bed bug treatment and bed bug steamers. We cover both. Below we discuss having it done by a professional, and later in this article, we provide 7 steps you can take on your own to heat treat for bed bugs. Heat treatment of an entire home requires expensive, complex, and dangerous equipment. As a result, this type of treatment is best left to a professional. The con of whole house treatment by a professional is that it’s often cost prohibitive for many people that are facing bed bug infestations. Costs are coming down, but heat treatment costs are still fairly expensive. Whole house treatment by professionals is done by bringing large furnaces and generators on site, generally contained within a large truck, van or trailer. Hot air from the furnaces is directed into the house via large hoses and fans and into a window. The whole house is closed down, and air exceeding 120 degrees is pumped into the home turning your home into one large bed bug oven. Additional fans are used inside the home spread the heat. This process continues for a few hours to ensure the hot air reaches all of the areas within your home, to kill all the bed bugs. Again, bed bug heat treatment cost can be very expensive, but seldom requires additional treatments if done correctly. While a little more tedious, do it yourself bed bug heat treatment is still an excellent option for these that cannot afford a professional. Critically important though is that the proper steps and safe bed bug heat treatment equipment are used. Far too may people have tried to use their own equipment or processes and unfortunately ended up burning their homes down or damming their home or belongings. We have a 7 step process that we highly recommend you follow that combines heat treatment with a few other traditional and proven bed bug treatment methods. The very first step you want to take is to remove all of your clothing, bed sheets and curtains. This includes everything in your drawers and closets as well. You’ll want to use either your Clothes Dryer or a ZappBug. The advantage of using the ZappBug is that only one treatment is required AND you can immediately place your clothing items into the ZappBug in the same room. This reduces the risk of spreading the bed bugs into other areas of your home. If you elect to use your Dryer, remove the clothing, bed sheets and curtains, and immediately place them into heavy duty trash bags. This will keep you from spreading any bed bugs into other areas of your home. Carefully carry the bag to your dryer, place the bag into your dryer and dump it out while the bag is in the dryer. Pay attention to be sure no bed bugs fall out. If they do, douse them in rubbing alcohol. Run the clothes through at least two dryer cycles using the highest temperature setting available. If you are unsure of your dryer’s max temperature, we recommend using a ZappBug instead. While your clothes are being heat treated, encase your Mattress and Boxspring with bed bug encasements. These are available from various local merchants and online. Just be sure and purchase encasements specifically designed for bed bugs. Regular mattress and box spring encasements will not work as they don’t have zipper protection, and the bed bugs will escape through the zipper. Encasements (or covers) will not only seal in any bugs in your bed (and kill them eventually), but will also keep any new bugs from getting in your bed. SafeRest Mattress Covers – Top rated on Amazon.com. SafeRest Box Spring Encasement. Also top rated on Amazon.com. Use a Bed Bug Steamer – Bed Bug Steamers are highly effective at killing bed bugs and have the benefit of steam being able to penetrate into difficult to reach areas. Steam can also be used to treat your walls (we’ll discuss this later). With furniture, you have to be careful using steam though, as it can damage the finish or warp the wood due to heat and moisture. A large bed bug heater – One of the best ways to treat all of your furniture without risking damage. Larger heaters can also treat most, if not all of your furniture at the same time. Often, you can include all of your belongings as well. The ZappBug Room Heater is ideal for this. ZappBug The Room is a bed bug killer that uses a heat treatment chamber to exterminates 100% of all bed bugs. 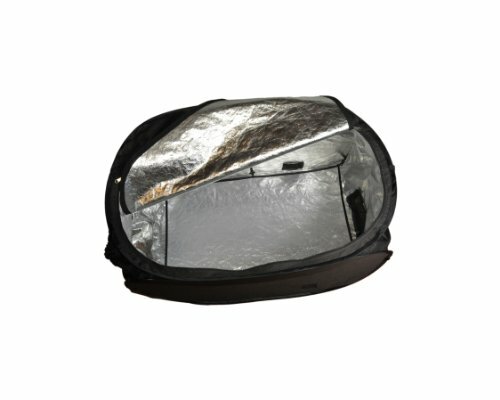 Using either a ZappBug Room Heater or ZappBug heater, heat treat all of your belongings. By this we mean anything that is in the infested room. Books, pictures, knick knacks, magazines, etc. Anything that is in the room should be treated. Bed bugs can hide in all kinds of crazy places, so be thorough. Next, we’ll treat your flooring and carpet. While a standard vacuum cleaner can be used, we recommend using a certified Bed Bug Vacuum. They are stronger, and have better filters to avoid the risk of bed bugs escaping. First, cover your flooring with Diatomaceous Earth. Let it stand for a few hours, then vacuum it up. Repeat this process. Once the floor is thoroughly vacuumed, we recommend you steam clean it as well. We realize this all seems excessive, but the whole purpose of doing all of this is to be thorough. If you miss just two bed bugs, you’ll have another infestation within weeks. Following these steps is critical to killing all of the bed bugs in your home or infested area. Finally, you’ll want to treat your walls. Steam is by far the best way to do this. Not all steamers will work though. Bed bugs die in temperatures exceeding 120 degrees. The steamer you use must be able to produce a constant temperature of 120 degrees or more of steam. 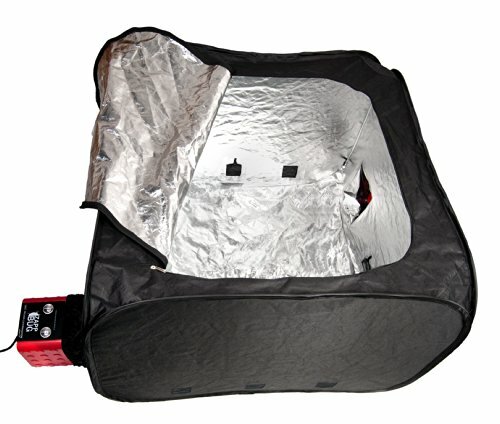 The steamers we recommend can be found on our Bed Bug Steamers page. Steam along the base molding where the floor meets the molding. Turn off any breakers for your room, and steam all electrical switches and outlets. Find any cracks or holes in your walls, and steam them as well. We recommend filling these holes with spackle or caulk while you’re at it. First off, congratulations! You just completed your first bed bug treatment! Seriously, that’s a huge win. Now, while we hate to burst your bubble of celebration, you may have to repeat this treatment a few times before your bed bugs are completely gone. We hope not, but just wanted to set your expectations just incase. Bed bugs are resilient, and really good at hiding, unfortunately. So now that you’ve gotten rid of them, it’s time to protect yourself against them. This is in case you missed a few, or in case they might be in other areas of your home. We’ve already put together a dedicated page for protecting yourself against bed bugs. The good news is that by putting protective cases on your mattress and box spring, you’ve already taken the first steps.